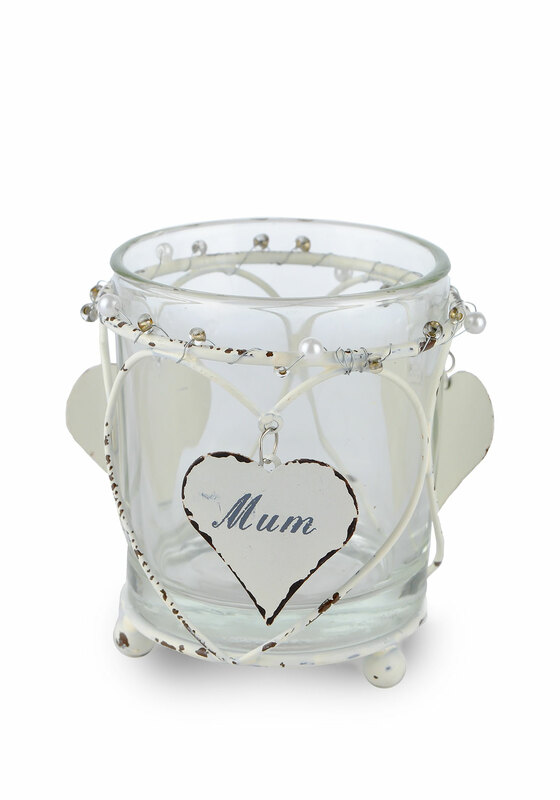 Pretty, shabby-chic tealight holder from Impressions by Julianna. 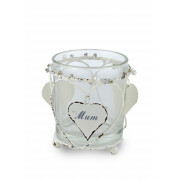 Glass jar with footed, distressed metal frame decorated with pearls, glass beads and metal hearts. Stamped with the name \"Mum\", this adorable gift will be cherished for years to come.